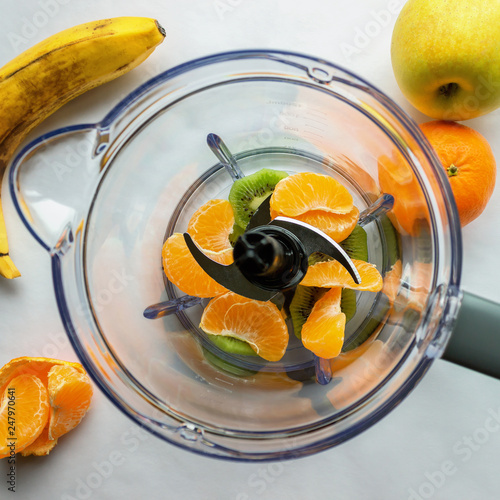 > Fototapeta>Tematy>Owoce>Pieces of juicy fruit in a blender. In the background, tangerine, kiwi, apple and banana . Concept- healthy food, vegetarianism. Selective focus.